How much is James Milner Worth? James Milner net worth: James Milner is an English soccer player who has a net worth of $9 million. He plays at the midfielder position. James Milner was born in Wortley, Leeds, England on January 4, 1986. He made his professional debut with Leeds United in 2002, and at age 16 became the youngest player to score a goal in Premier League history. 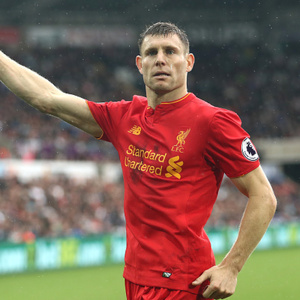 In 2003, Milner was sent on loan to Swindon Town, and from 2004-08, he played with Newcastle United, appearing in 94 matches and scoring 6 goals. His time with Newcastle also included a loan to Aston Villa from 2005-2006. He would rejoin Aston Villa in 2008, appearing in 73 matches until 2010, scoring 11 goals. Since 2010, James Milner has been a member of Manchester City. Internationally, he's played with England's youth clubs, and made his professional international debut in 2009. He scored his first international goal on September 8, 2012 in a 5-0 win over Moldova during 2014 FIFA World Cup qualifiers. James Milner won the PFA Young Player of the Year and PFA Premier League Team of the Year awards during the 2009-10 season. With Manchester City, Milner won the Premier League in 2011-12, the FA Community Shield in 2012 and the FA Cup in 2010-11.